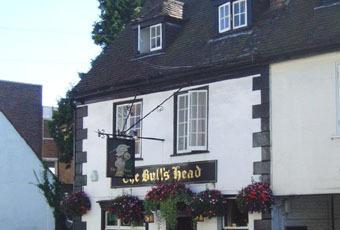 Good pub, with excellent food and well kept beer - in town centre location. Nice beergargen at the rear. Friendly and efficient staff. Good local type pub - where I even met the dog mentioned in previous posts! Her name is Mia; owner, Alan. Nice beer garden, good food and beer - with friendly staff. Friendly pub on the High Street, with great food and well kept beer. I listened as hard as I could for a whimpering dog but there wasn't any. Very nice beer garden at the back a nice suntrap. And the beer was good but careful on the stairs on the way out as if you spill some you might feel disappointed. A small traditional pub with the bar located to the right of it's narrow long lounge. There is another room at the back of the lounge. there is a garden/patio at the rear of the pub. Although they had 4 hand pumps, there was only 3 beers on when I visited the pub - Sharps Doombar and Sea Fury and St Austell Tribute. All Cornish beers! It is reasonably comfortable and very friendly.